The 2017 Season Begins Today! The first race of the 2017 Continental Tire SportsCar Challenge season is today! The BMW Endurance Challenge takes place at Daytona International Speedway. Three MINI JCWs will be taking the field in hopes of a race victory. 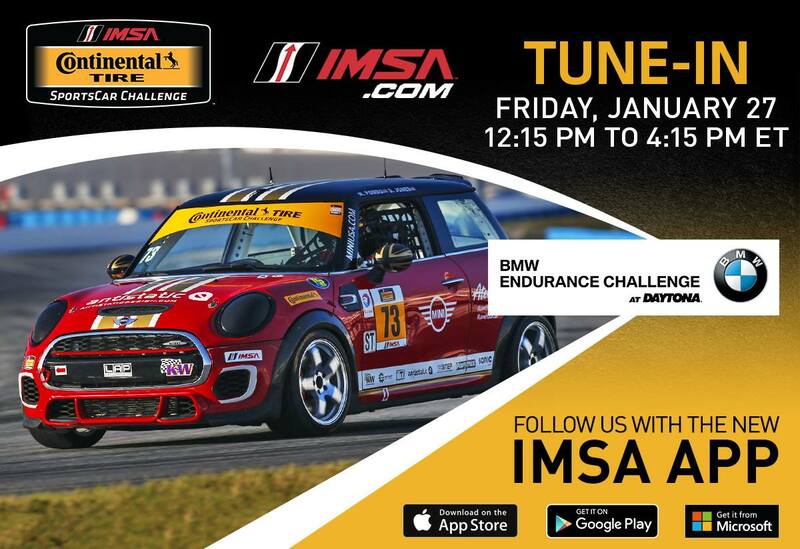 Be sure to tune into the live stream over at IMSA.tv. The race is at 12:15 PM EST, don’t miss it!